Your blogger has been quite busy lately, which has been the reason in the decline in blogs. He has been busy trying to lead a new club he founded last summer at the University of South Florida, Tampa campus: The Japanese Club at USF. The first thing you might be saying to yourself is “Hey you aren’t Japanese? !” and trust me I get it all the time. While it’s true that I am not Japanese, the Japanese Club at USF, known for short as the “J-Club” is meant to create awareness for Japanese culture around the USF community and enrich students in it. I don’t think you necessarily have to be Japanese to appreciate their culture. Many people enroll in Japanese courses to learn the language and also have a personal interest in its culture: its history, politics, art, music, cuisine, and various other aspects of the nations culture. 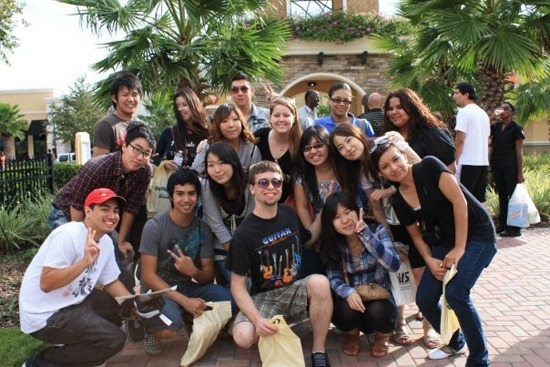 USF has a relatively small Japanese student community, so I didn’t mind taking the initiative to lead this. In fact right now I am enrolled in a Japanese politics, history, and cultural course: Japan Today which is filled to max capacity, evidence that many people are interested and want to know more about the land of the rising sun. Also if you didn’t know, USF also has several active Japanese Martial Arts Clubs on campus such as the Aikido Club, Chito Ryu Karate Club, Karate Club, and Kenjutsu Club…so there is already plenty of Japanese interest on campus; it is all just spread out. So far the J-Club has held club meetings for a few months with each meeting having themes around Japanese cities, traditions, history, and various other parts of Japanese culture. We try to get people to learn and get involved as much as possible in the culture. We went to Orlando on a road-trip last October to the Orlando Japan Festival and there was over eight cars full of people walking around taking part in a festival filled with culture. It was really an amazing sight and hopefully there will be many more opportunities to come for people to get involved. Of course we like to have fun like any other club and have also had many socials to try and help members bond and create a social network among people who have a similar interest. 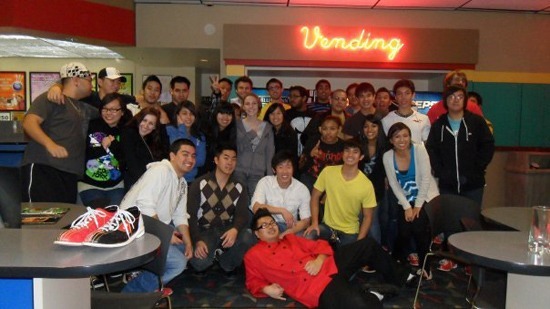 Some of the socials we have had are sushi socials: where we go out and eat together at sushi restaurants, a bowling social, and a karaoke social just to name a few. We have tried to support the Japanese teachers and the Japanese Institute in their efforts to bring Japanese culture to USF by promoting their events and also have started Japanese Language Workshops where people can come and learn Japanese for free after receiving numerous inquiries that people are interested in the language but didn’t have the time to enroll in a real class or they couldn’t include it into their schedules since their major isn’t related. I think it’s truly fun and rewarding to make this possible. Maybe it’s something for you. If you’d like to know more check out the club’s facebook page at http://www.facebook.com/usfjclub, add us on Blackboard, and even shoot an email over to usfjapaneseclub@gmail.com if you have further questions.